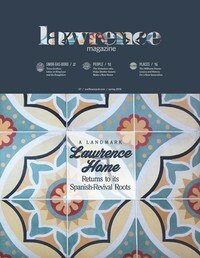 City/regional publication for Lawrence, Kansas. 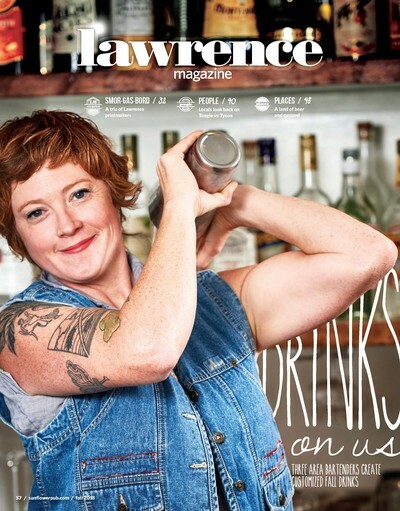 Don't let the word "Kansas" scare you--we're home to a community with a progressive history, inclusive values, an inquisitive attitude and, oh sure, Midwestern niceness. Sorry, brides. Sorry, grooms. Your wedding days are actually all about someone else ... the flower girl. 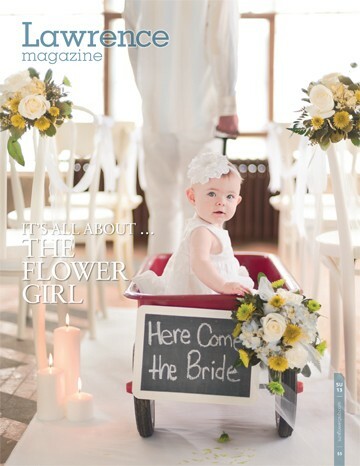 Our cover story on flower girls who have stolen the show ... from the cute and adorable to the demanding little divas. 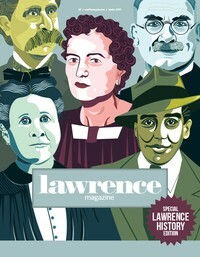 Also in this issue of Lawrence Magazine: the legacy of Thomas Burns--the loner catfish man who was known as King of the Kaw River, the award-winning artwork of Stephen T. Johnson, the spiritual art of Barry Coffin, the Lawrence home that houses The Museum of Odd (500 sock monkeys, bezoars, and other kitsch), plus much more. 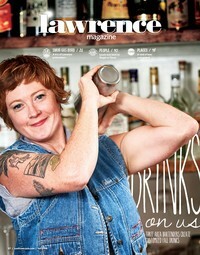 Yeah, yeah ... we're dedicated to covering the people, places and spaces of Lawrence ... Kansas. 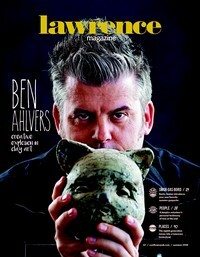 Wanna make something of it?